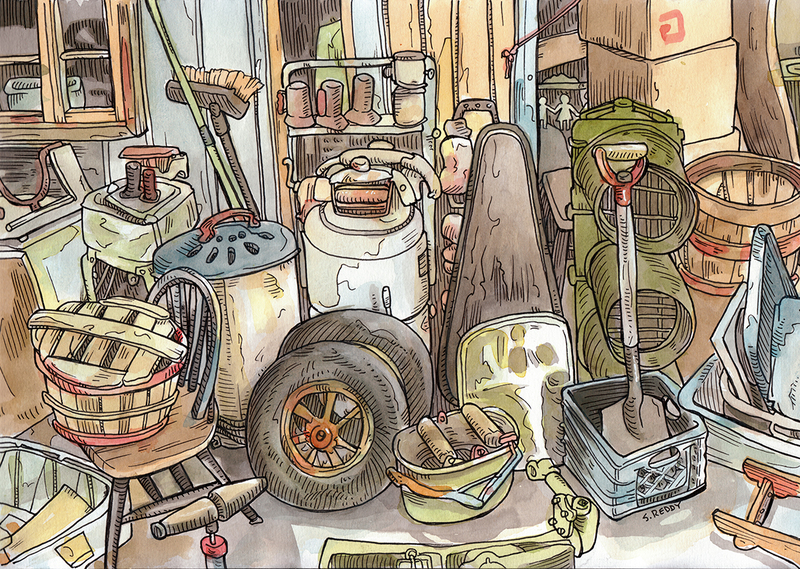 Urban Sketchers Seattle: Catching up. 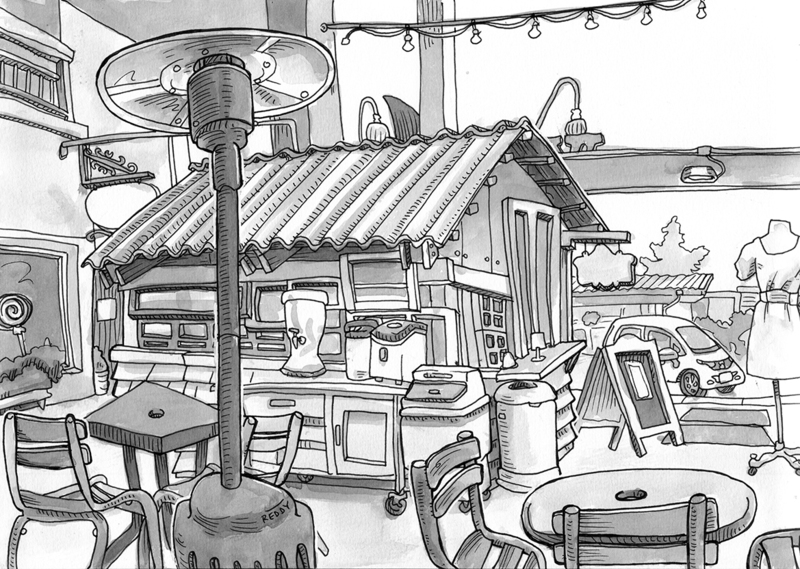 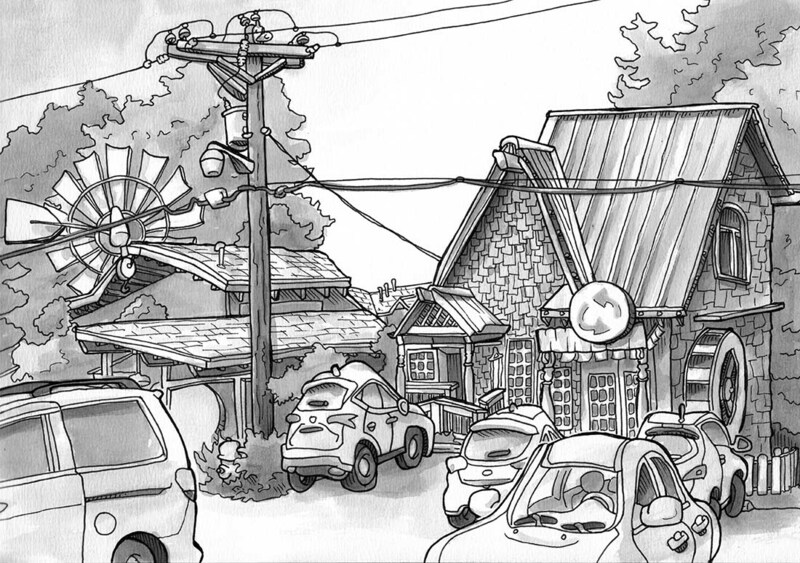 To fit everything I liked about this view at Bothell Country Market into one drawing I had to do some squishing. 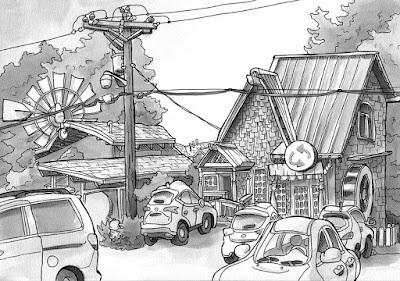 Might be time to get a landscape sketchbook with longer pages, but then habits die hard. 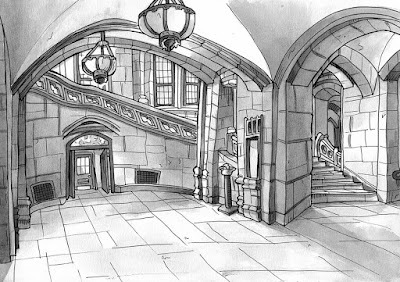 I gave a private lesson at Suzzallo Library at UW. 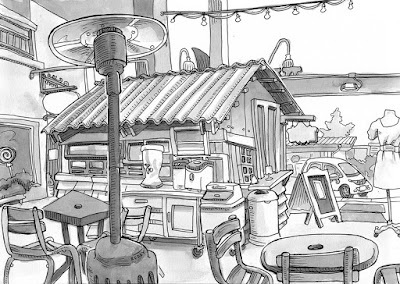 My student and I sat side-by-side and drew this view at a comfy table. 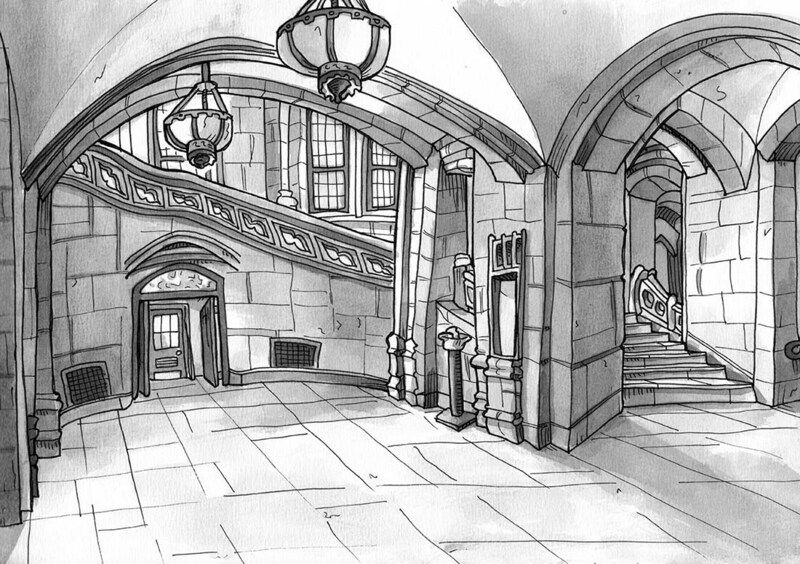 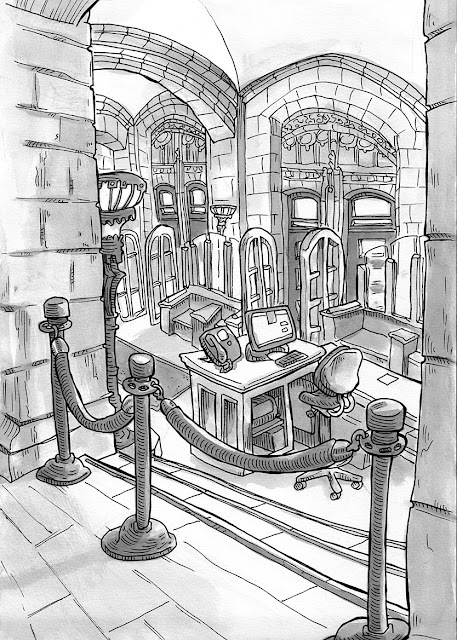 This view of Suzzallo was drawn with my class from Gage Academy as a demo. 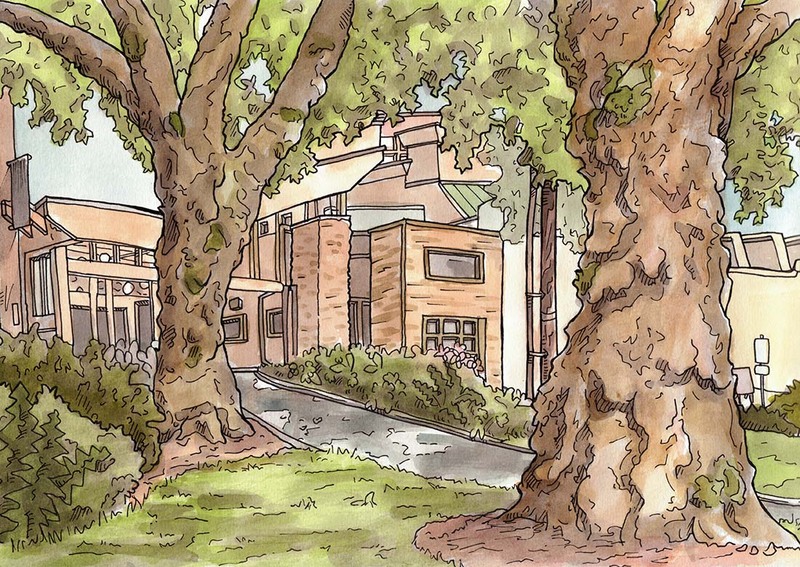 The atrium across the street from the market on Winslow Ave in Bainbridge, drawn a few weeks ago with Urban Sketchers Seattle. 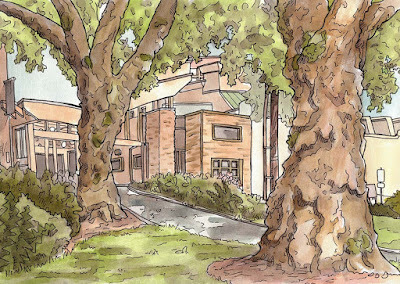 Sitting on a blanket with my partner, as we drew The Shelter on the east side of Green Lake. A sketch from behind an antique shop in Wenatchee, where I'll be giving an Urban Sketchers-themed "sermon" at the Unitarian Church this Sunday, followed by a workshop at Radio Station Gallery and Pub.